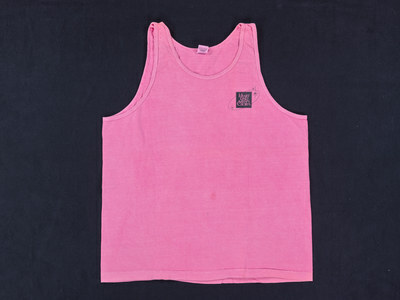 Pink tank top. Text: [Front] "HEART LAND MEN'S CHORUS" [Back] "CAMP Heartbeat"
""HEART LAND MEN'S CHORUS"" (2016). T-Shirts. 222.